Knowing that editors can offer some of the best advice on how to publish novels and short story collections, I arranged an interview with Jeanette Perez, Associate Editor for the HarperCollins and Harper Perennial imprints. 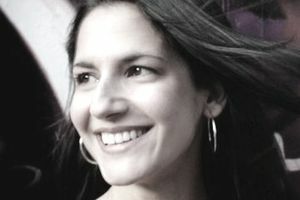 Perez cut her teeth at HarperCollins after finishing grad school, and has acquired titles such as Polly by Amy Bryant, The Yacoubian Building by Alaa Al Aswany, and Promise Not to Tell by Jennifer McMahon. Q: What kind of fiction do you primarily acquire? Jeanette Perez: Though I'm starting to expand my list into nonfiction, such as narrative nonfiction, memoir, and pop culture, I mainly acquire fiction. In general I would love to acquire more literary fiction, women's fiction, and fiction representing other cultures such as Latin American fiction. AC: What do editors look for in both authors and submissions? JP: Of course, we all want something that's written well, but the book also has to have a hook that's easy to pitch. Much of my job as an editor is selling the book in-house to our publicity, marketing, and sales teams. If I can present the book to them concisely and give them a hook they can use when they are selling the book to accounts, the book has that much better of a chance in the marketplace. As for what I look for in an author, it's always nice to have an author who is connected to the book world in some way. Also, it's wonderful to have an author who's willing to spend some of their own time marketing the book by going to bookstores and introducing themselves or surfing the Internet for websites where we could promote the book. Some of our more successful authors have been great about blogging on their websites and constantly refreshing their MySpace pages so that their networks continue to grow. AC: How many first-time novelists do you publish each year? JP: Lately, our paperback imprint Harper Perennial is where many of our first time authors have been getting published. The general sense is that readers are more willing to take a chance on a new author in paperback, where the prices are a little lower. I personally think the paperback original is a great way for an author to gain a following, and as their readership grows, perhaps with their second or third book, they can make the jump to hardcover. AC: How finished should manuscripts be before authors begin to submit them to publishers? JP: It really depends book to book. Sometimes a manuscript comes in pretty clean and the editing process is more of a polishing process. While other times, you may buy a book based on half a manuscript and then really work with the author line-by-line once they deliver the whole thing. But normally, if you buy something that's incomplete or needs a lot of work, you're sold on the story or the book has a highly commercial pitch. AC: Do you recommend that authors get agents before submitting their novels? JP: I know authors hate the idea of giving an agent a cut of what's often a small advance to begin with, but agents are a necessary part of the process. First, it's their job to know the editors and their interests, so rather than you sending your literary novel to an editor who buys science books because you saw their name somewhere, an agent will know exactly which editor is best suited for your book. Also, when problems arise, as they tend to do, the agent can act as a mediator, telling the author when they are asking for something that's impossible, or fighting for the author when they feel they should. So yes, I think agents definitely earn the commission they make and are good for the author to have on their side. AC: I've heard that many presses have stopped really considering over-the-transom submissions. Is that true at HarperCollins? JP: Sadly, there are just so many submissions coming in from agents, that we do not have time to also look at the un-agented materials that come in. AC: It's said that the publishing industry has changed a lot in recent years, that some of the work once done by editors is now done by agents. How would you describe your role as an editor at HarperCollins? JP: I personally love the editing process. Though agents do quite a bit of editing before they send the books out, there's usually still more work to be done. Working closely with the authors is for me, the best part of the job. But once the editing process is finished, my role changes from editor to salesperson and marketer. Like I said earlier, one of my main roles is to make sure everyone in the house knows the book and why it will appeal to audiences. AC: Could you briefly explain what an author can expect once his or her novel has been accepted? JP: Once the book has been accepted, it generally takes 9 months before it is published. Within those 9 months the book is copyedited, designed, and proofed multiple times. The author will get to see and approve the cover design and interior design and have a chance to see the flap copy. The editor should also send the book out to other authors for blurbs as soon as the manuscript is ready. About 3-4 months before publication, the marketing and publicity push will really get started. The publicist will do large galley mailings to all the publications he or she thinks the book is right for and pitch the book to radio shows, tv shows, and magazines. The marketing department might do large mailings to book sellers and bloggers, who are increasingly involved in bringing books to audiences. The best thing the author can do is write a letter to booksellers explaining the story behind the book and introducing themselves. It's also never too early for the author to start a website or MySpace page. AC: Do you have any final advice for authors seeking to get publish? JP: Never stop writing and never stop submitting your work to agents and publishers. I've seen some great writers get frustrated because they haven't been offered a deal yet, but perhaps their next book will be the one. I think it's really helpful when writers join workshops or take a writing class. That way they can get the early criticism they need as well as make contacts in the writing world. Also, good authors are great readers. You should read as much as you can. And a little tip -- most authors thank their agents in the acknowledgments. If you're looking for an agent, check out books that are comparable to yours and see which agents represent them. This way you know which agents are interested in representing books like yours.